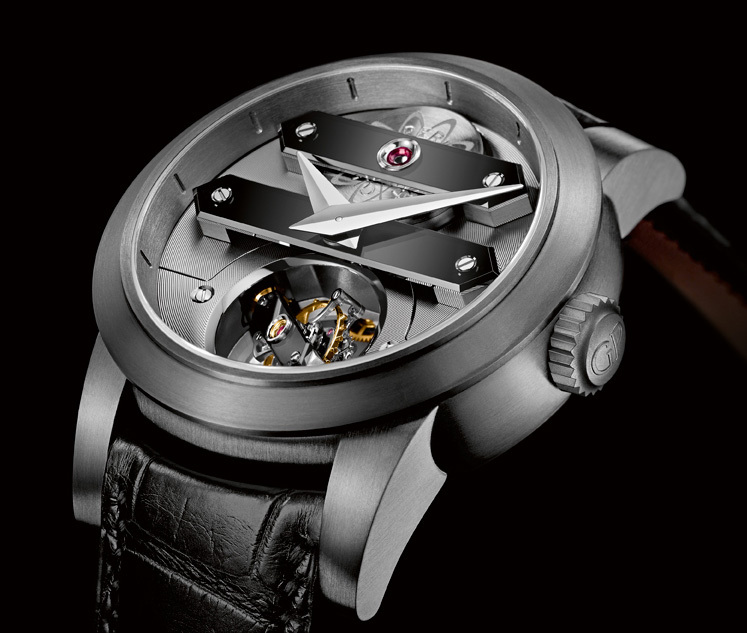 From Girard-Perregaux a new interpretation of the Tourbillon Bi-Axial in a tantalum case. 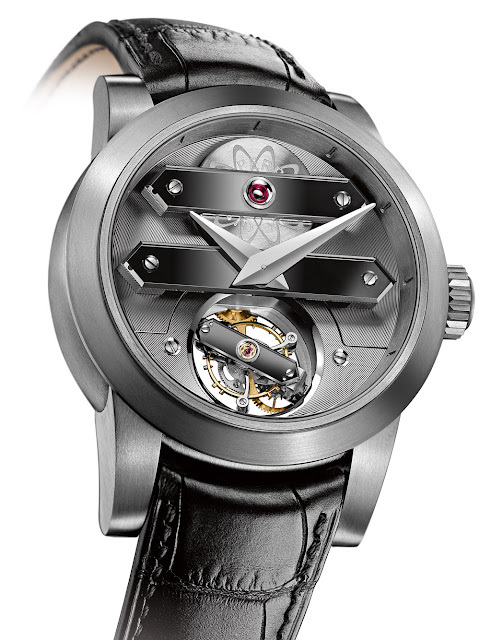 The Tourbillon Bi-Axial tantalum with sapphire bridges (ref. 99810-81-000-BA6A) is a limited edition of just 12 pieces. Tantalum metal is often used in the chemical, electronic and aerospace industries because it is durable, malleable and corrosion-resistant and - with its grey-blue colour - gives a high-tech look to the watch. The three bridges are cut in sapphire with a metallic black finish that accentuates their volume. The tourbillon bi-axial mechanism is made of gold, steel, glucydur and grade-five titanium and despite of its 110 parts, it only weighs 0.8 grams. Visible from both sides of the case, the bi-axial rotation of the tourbillon is hypnotic. 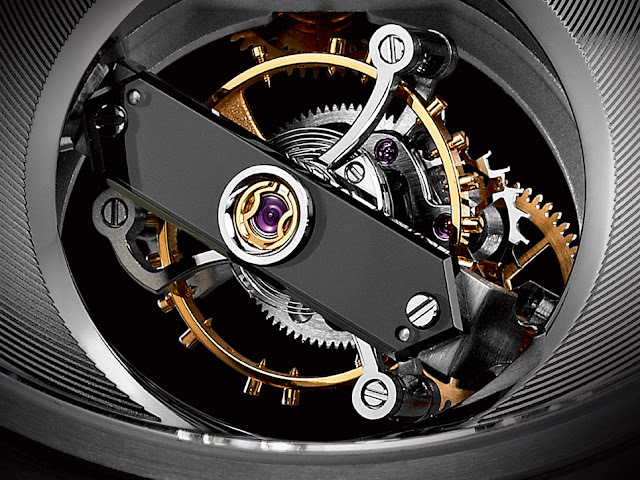 The internal cage bearing the balance, balance spring and escapement completes one turn on its axis in forty-five seconds while the external cage completes one revolution in one minute and fifteen seconds on a second axis. The manually-wound movement beats at 21.600 alternations per hour and offers 70 hours of power reserve. The case has a diameter of 45 mm and is water resistant to 30 meters. 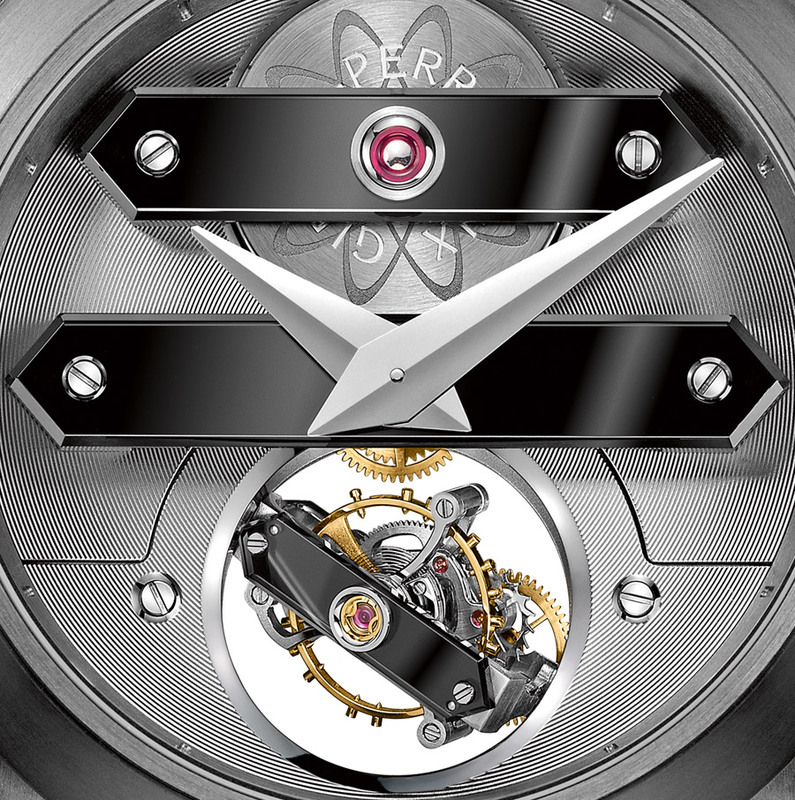 From Girard-Perregaux a new interpretation of the Tourbillon Bi-Axial in a 45 mm tantalum case. The Tourbillon Bi-Axial tantalum with sapphire bridges (ref. 99810-81-000-BA6A) is a limited edition of just 12 pieces.